Yasuhide Ito (b. 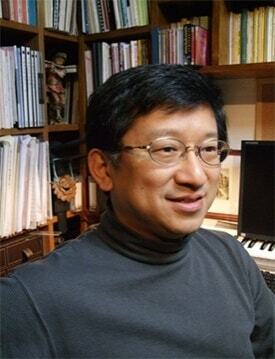 7 December 1960, Hamamatsu City, Shizuoka Prefecture, Japan) is a Japanese composer. Ito completed graduate work at Tokyo University of Fine Arts and Music in 1986 where he studied composition with Professor Teruyuki Noda. Ito won 3rd prize in the 51st Music Competition of Japan with a work for orchestra, and in 1986, he won the 1st prize of the competition for the Composition for Saxophone. As a pianist, Ito won 1st prize in the 5th Music Competition of Shizuoka in 1980. Ito is a member of the Japanese Society for Contemporary Music and the JBA. Ito’s lectures about Japanese band music at WASBE in 1995 (Hamamatsu) and 1997 (Austria) have had a great influence on the band world. Besides his composition career, Ito is well-known as an author and translator. He has written “Kangakki no Meikyoku Meienso” (“The Masterpieces and Great Performances of Wind Instruments”) and translated Frank Erickson’s “Arranging for the Concert Band.” He teaches at Tokyo University of Fine Arts and Music, Sakuyo Music College and Tokyo Conservatoire Shobi. In addition, he is the regular conductor of the Tsukuba University Band.